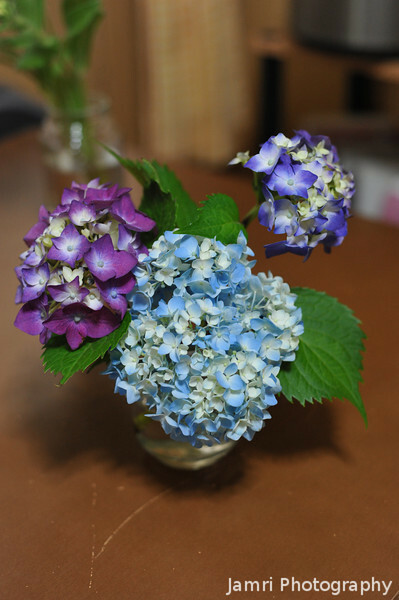 These hydrangeas have a bit of a story, see we received them on a Thursday (in cut form) from a students grandmother. By Sunday morning they were looking worse for wear. Ritsuko through the two rear ones (in this photo) but pruned of most of the leaves from the light blue ones. The light blue ones came back to life, then she retrieved the others from the bin and pruned them down and they came back to life in a couple of hours... A week after this photo was taken they are still going strong.